Part two of a three part series. Governments have “Know Your Customer” laws a.k.a. KYC. Should Bitcoiners create “Know Your Exchange” rules as well? Many governments have issued strong-arm caution statements that strongly discourage their citizens from using digital currencies and reinforcing the point that the government does not recognize the currency as legal payment. There have been hacks, robberies, and exchanges closing up shop taking their investors’ funds with them. When this happens, the victims often will go to the police but find they don’t find the same protections that would be afforded them if a regulated bank had tried the same thing. As frustrated customers of Mt. Gox recently discovered, they have little recourse when they found weeks or months go by and unresponsive customer service. It’s clear that we are on our own. Most governments, however, didn’t actually ban the currency despite what the mainstream news headlines might have you believe. They did send advisories that any money you lose will not be their responsibility, which one might be considered refreshing in the nanny-state many feel that governments have become. Many bitcoiners might likely prefer the government stay out money affairs since they’ve demonstrated discouraging ineptitude with our financial affairs this far. There is no FDIC for bitcoins to insure your deposits. It will take a different mindset in protecting your money. Nobody is going to do it for you. Disturbing news from Routers indicating that EU officials are considering confiscation of personal savings accounts to make themselves whole after mismanaging their money the first time through taxes. Understandably – their citizens have begun making arrangements to protect their wealth including conversion to hard-to-reach digital currency – except then it’s a matter of “pick your poison”. Hackers on the left, government on your right and interconnecting it all are the exchanges. In Part One of the series we discussed the exchanges of Mt. Gox and BITSTAMP. In Part 2, we continue this effort and provide profile for BTC-E, and Cryptsy. How will you know if they are worthy to trust with your money? BTC-e might be described as an enigma. Even its exact location is somewhat of a mystery. The managing company is registered in Cyprus but lists Bulgaria as its location. It appears to avoid too much government regulation and as such, the exact location is undisclosed. BTC-e is one of the primary benefactors in gaining customers leaving Mt.Gox who swelled the customer base as Mt. Gox shrank. Accounts are secured with two-factor authentication for all withdraws and has not reported being a victim of a hacking attack. The company may represent an emerging model for internet business that can be everywhere and nowhere at once. This makes it difficult to apply laws from regulators and governments for institutions that have no borders and can be defined in multiple jurisdictions. There is much confusion in the press lately about the exchange’s “war” with theRussian government. The Russian central bank boldly issued a statement which reiterates the existing laws that recognize only the ruble as the official currency. It did not make new laws or rulings but did create some “Fear, Uncertainty, Doubt” by labeling transactions as potentially suspicious. And it made clear that businesses using the currency are breaking existing laws. The defiant BTC-e issued a statement in response that they are discontinuing support for the Russian Ruble on their exchange. They advised that they would continue to work through alternative third party issuers like OKPAY. BTC-e is one of the largest exchanges to also trade with alternative digital coins such as litecoin. This writer found no reports of security issues. If one were to take you on an adventure trip around the world of “Bitcoinland” no visit would be complete without a stop at BTC-e’s front page chat window, commonly called the “Trollbox”. Perhaps there is no better place to better understand the “Crypto-Culture” than to hang around this area for a few days. Here you can watch warring bitcoiners try to psych each other into buying and selling various currencies to their own advantage. It turns into a hotbed of hot-off-the-press news and old fashioned crypto culture jokes. Cryptsy is one of the few exchanges based in the US. It is owned by Project Investors, Inc. which is located in Florida. They have 60 various alternative currencies but current complex legal regulatory restrictions do not allow them to trade in government backed currencies. They have indicated plans are in the works to allow for this in the future. Currently you must fund the exchange with bitcoin or alternative currencies rather than government fiat currency. The exchange requires two-factor authentication for login. Cryptsy is a smaller operation and sometimes exhibits computer lagginess as the infrastructure occasionally struggles to keep up with surging demand. This writer found the interface is simple and intuitive and discovered no evidence of security concerns. 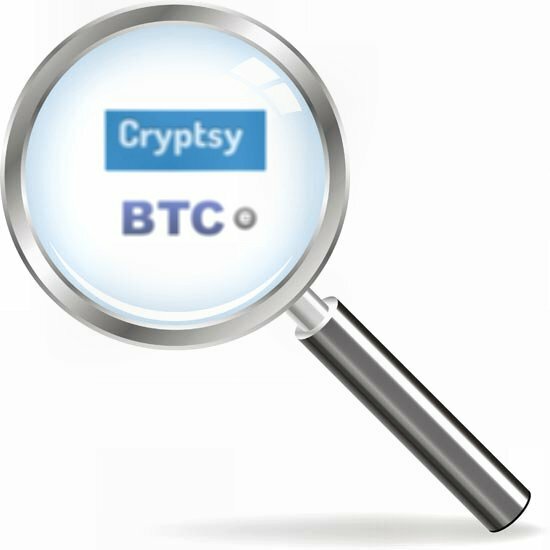 If having a large selection of alternative currencies is important, consider looking into Cryptsy. The exchanges listed here differ than those profiled in part one of this series in the fact they they will also allow trade in alternative (Alt-coins). For many who feel like they’ve missed the boat on bitcoin while it was still cheap in years past, they often hope that lightning strikes twice. They hope that the new currency they’ve targeted will bring them fortune. The makers of these coins also need an exchange to get them distributed.’ The confluence has created competition and campaigns to get their own coins featured and available for sell. Exchanges have become a lucrative business. Various “write-in” campaigns have developed by various groups to petition the exchanges to include their own versions of the currency. With the flood of new entrances vying for the spotlight, the exchange services are becoming increasingly important and profitable. It might be wise to select multiple exchanges for trading your currency of choice. Many security experts still advise to keep your money off the exchanges once the trade is complete. Services such as bockchain.infoare seen as much safer places to store your wealth until you wish to exchange it again. It might be important to note that although various countries have issued warnings against using digital currencies and related exchange services – the US government has not. There are several on-line tools available to research the various exchanges. Google Maps can help identify the building listed at their address. Crypto currency websites such as cointalk.org and the bitcoin subreddit groups can provide valuable information if you can weed fact from fiction. There are various scam checking websites such as scamadviser.com that rely on the vigilent public working together to keep safe. Another tool can to see a company’s Facebook page. The comments and complaints left for the company can be enlightening. As wallets are kept private, reputation systems will be more important than ever and might be an important emerging market opportunity. There are also dedicated websites that specialize in reviewing and listing these exchanges such as “Planet.btc”. Beware that things move very quickly in world of digital currencies and reputations can change on a dime so it takes diligence to verify that the information found on these sites is still accurate and recent. In the end, nothing replaces good old fashion detective work. As was proven by Mt.Gox, just because everybody else is doing it, doesn’t necessarily mean it’s the best or safest. Due diligence is advised when you research the various exchanges. By one count, over 70 digital currency exchanges currently exist but with increased popularity this figure will surely rise. Financial risk analyzers still regard digital alternative currency investment as inherently risky as would be expected for a five year old unbacked currency. Gavin Andresen from the Bitcoin Foundation still recommends that one should consider only investing what one is comfortable losing. This article purposely did not list “Coinbase.com” or “Bitpay.com” as exchanges. The only exchange they conduct is from US Fiat currency from your regular banking system to bitcoin and back. You cannot exchange one digital currency for another and withdraws are sent back to your regular bank rather than stored as US Dollars on the exchange. Direct deposits to and from the regular banks take three days or longer because it must travel on the rails of the regular banking system which will seem like snail mail once you’ve gotten used to the bitcoin protocol. Panic selling and repurchasing once you’ve realized your haste, makes it even worse as you watch your mistake play out in slow motion. By many accounts these two money service companies are currently among the two most trusted in the world. In general, most digital currency exchanges were started by technical people rather than experienced financial trading companies. Small startup companies naturally would have a difficult time presenting a business plan to the established banking system to get funding to open a digital currency exchange as these are new to history, Growing pains are naturally to be expected. This article series should not be interpreted as condemnation or recommendation for any exchange but is intended to provide illustration to inexperienced newcomers to digital currencies in an effort for them to “Know Your Exchange”. In the final part of this series we will cover the newer entries into the exchange markets which have exploded in popularity. Disclosure: This author has an account with the exchanges profiled in this article.